In New Zealand, hundreds of lives were changed by the birth of a new program called Launching Leaders. Learn more about Jim Ritchie's famous formula for success that he developed and mastered 50 years ago. Financial success can be attained much easier than you probably think. It is as easy as 1-2-3. Any journey will be a failure if you don't know where you want to end up. A Personal Constitution will help you on your path to success. One of the most underutilized tools in business is divine guidance. Why do so many people neglect it? Success can never be obtained alone. Mentors can be by your side all along your path to success. We should not seek to be successful to benefit ourselves, but to lift those around us who are in need. As a mother have you ever thought, "How can have a positive influence on my child's future?". We have the answer. 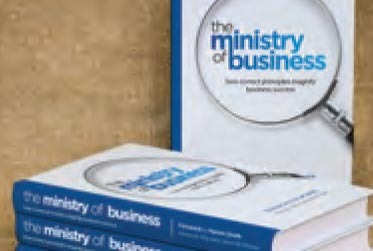 Reviews by business and educational leaders endorsing The Ministry of Business. Get hooked up to receive inspirational video’s and blogs; all designed to maximize your success. Steve and James also share secrets to success on their own personal blogs. Feel free to contact The Ministry of Business to schedule speaking engagements, or if you have any questions. 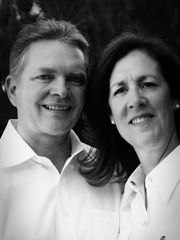 Steven A. Hitz, along with his wife, Ginger L. Hitz, founded US–Reports, Inc. in 1998. Since then, the company has grown to become the largest, uniquely structured corporate footprint of its kind, providing loss control, premium audit, and risk assessment services to over 500 insurance companies. In 2010, US–Reports became a member of The Kaufman Financial Group, the world’s largest independent insurance broker. Steve still serves as CEO of the company.